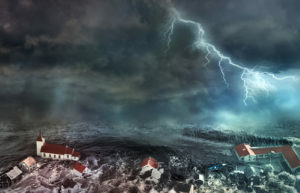 Have you reviewed your business disaster plan lately? If not, it’s a good exercise to go through with your designated disaster response team, and even consider drills with your employees. OSHA requires nearly all employers with at least 11 employees to have a written, comprehensive emergency action plan. Employers with 10 or fewer employees are permitted to communicate their plans orally, the agency states. MRA recently walked through some disaster scenarios – including the destruction of our building – in order to refine our master disaster plan. It’s an annual ritual. We have a designated disaster team, and floor captains to help everyone get to a safe place, whether it’s to the ground floor in the case of a tornado, or our designated parking lot across the street in the case of a fire. Our friends at Michigan Automobile Dealers Association have agreed to be our temporary off-site headquarters in case our building is destroyed by fire, tornado or other disaster. This year, we’ve done a more detailed review. As we thought through some scenarios, we realized some key names and numbers were missing. For example, if our building was partially damaged, we’d need to call our plumbers, electricians and other vendors familiar with our setup to get us back on our feet more quickly. We added their contact information to our plan. In the case of a destroyed building, our goal is to be up and running within two days, or less, depending on the severity of the incident. Our email and phone systems would be down – so how do we make sure we have redundancy to keep our services up and running? You’ll be happy to know we have a backup plan for customer service for our merchant processing clients who need assistance. Agents selling Retailers Insurance Co.’s workers comp. insurance would still be able to write policies because that system is offsite. We also have a seamless process for retrieving information stored on our computer system, which includes moving hard drives to a secure place offsite on a weekly basis. And we have multiple ways to reach employees, in-house and remotely, in the case of tragedy. We’re also working on security measures in the event of an active shooter – while acknowledging that this is the toughest scenario of all. We feel like we’re fairly well prepared. But we hope we never have to put our disaster plan to the test.